Posted on 10/13/2017 by Mickey McCarter	in Live Review and tagged Baltimore Soundstage, Chelsea Wolfe, doom metal, folk, goth, Youth Code. Chelsea Wolfe released Hiss Spun, her latest album, on Sept. 22 via Sargent House. She’s on tour to support the record with a show at Baltimore Soundstage on Saturday, Oct. 14. 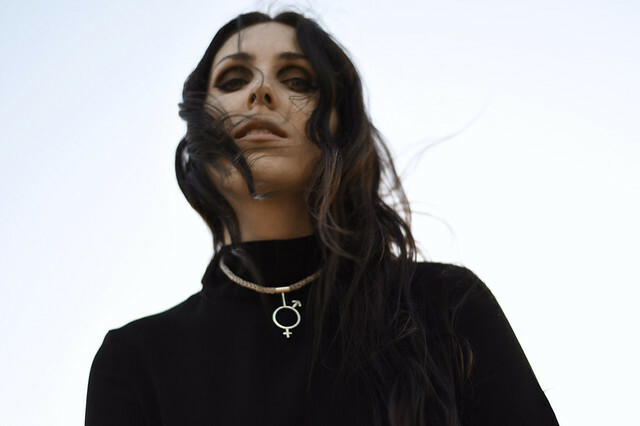 With this sixth album, Chelsea Wolfe adopts American writer Henry Miller’s quest to become empowered by embracing the mess of the self, to control the tumult of the soul in hopes of reigning in the chaos of the world around us.